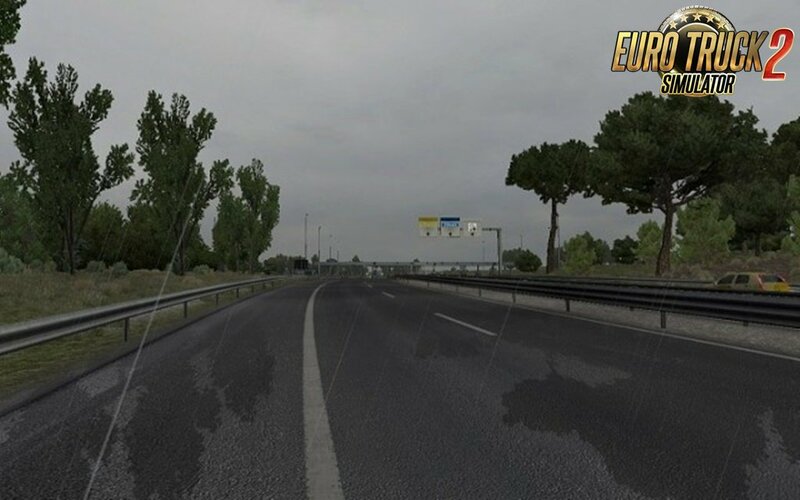 This is NOHDR Weather mod for ETS2, so you must switch off your HDR setting. 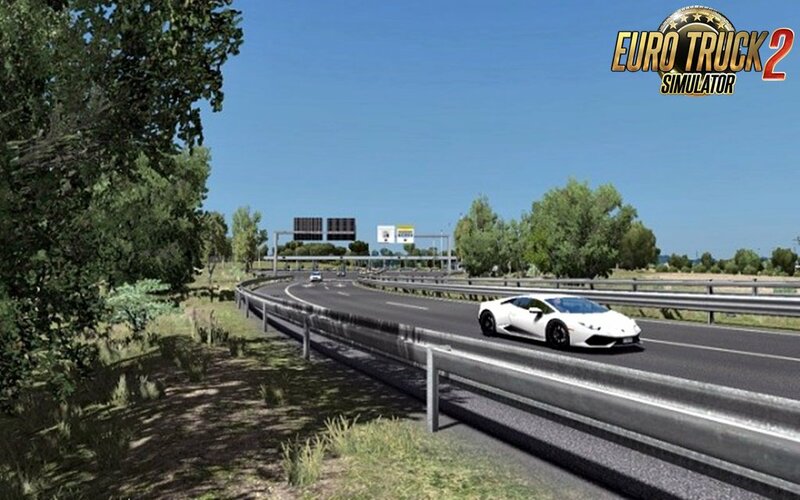 Otherwise please do not download this mod. - Very small mod (~50MB) with own skybox model and skybox textures. - Also Compatible with Dalton map (not by temperature) climates "alaska" and "arctic" included. - All day long just only one clear sky texture. 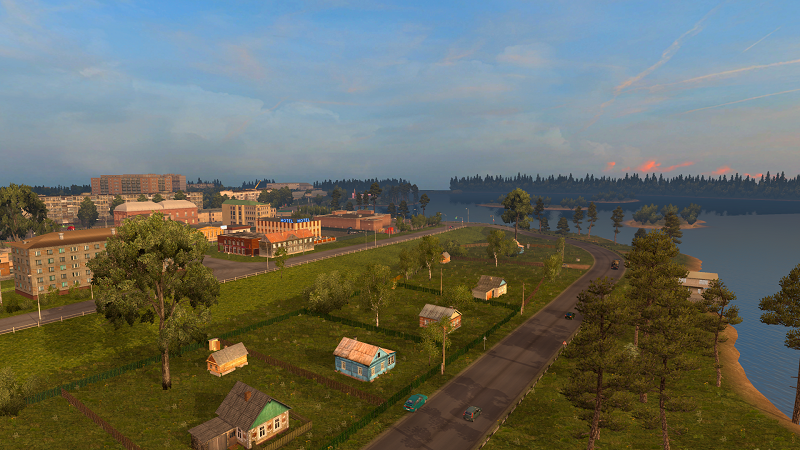 - Sunrise and sunset is not so beautiful, but colors and lighting near the realistic. in you graphics setup, you can see that stars are flashing in the sky. 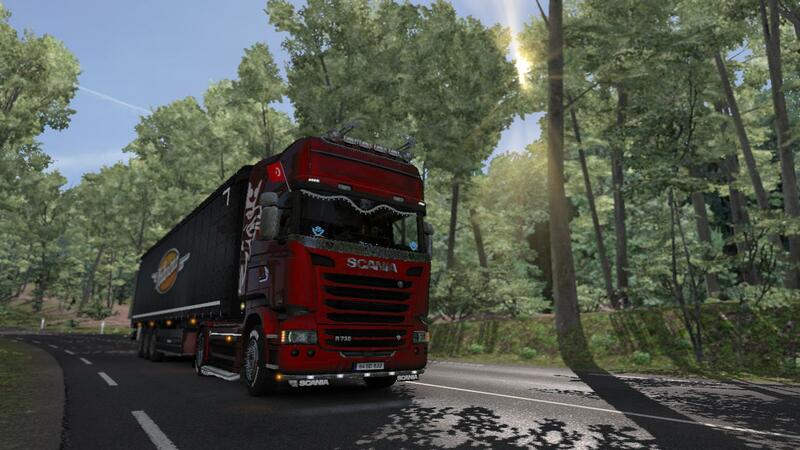 ATS and ETS2 mods have different brightness settings. Textures the same. 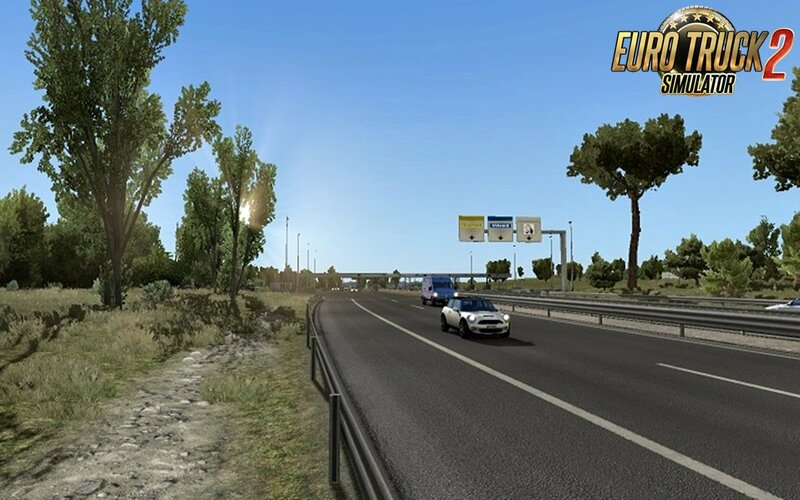 Supported maps: ProMods, EAA, Todor Alin Romanian map, and many more, I don't know all.